You’ve already got your own boat, or you know what boat you want to get. If you are looking for a home where your boat can live (at the dock), and maybe a place for you too, there are questions you need to ask. 1) How big is the waterfront? This is the most important question for boaters. If you have an 80 foot yacht it will physically fit at a home with 80 feet of water frontage. Legally, it will not fit. In our neighborhoods the lot line side setbacks for boats is the same as for the homes. The typical setbacks are 10 feet and 5 feet. So your 80 foot yacht would be OK at a home with 100 feet of waterfront, but it also might be OK at a home with 90 feet of waterfront. 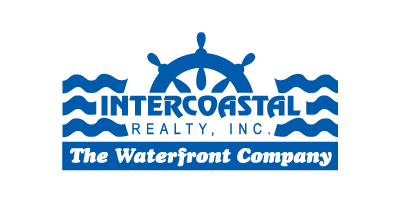 The waterfront specialists of Intercoastal Realty will be able to tell you what the setbacks are on the streets in the neighborhoods you are interested in. 2) What is the width of the canal? Unless you have a mega yacht you will have lots of options. In the waterfront neighborhoods of Southeast Fort Lauderdale the canals where homes and docks are located can vary from over 150 wide to less than 90 feet. This is important because most municipalities have rules relating to how much of a canal a property/boat owner can use. In most of our neighborhoods the maximum use is 30% of the canal. This is measured from the wet face of the seawall. If your yacht has a 20 foot beam (starboard rail to port rail) and the dock is 10 feet wide, the combined width is 30 feet. This would fit if the canal was 100 feet wide. For most boats, the beams are much less than 20 feet (with the exception of catamarans), so unless you have a mega yacht you will have lots of options. 3) What is the canal depth? Most of the canals in our waterfront neighborhoods have a depth of at least 7 feet. This is a governmental measurement and it is usually done at “mid tide”. This means that twice a day the water is a little shallower and a little deeper. This range changes during the wider tides during full moons and the spring and fall equinox periods. For most boats our waterways have plenty of depth, if you have a sailboat with a deep keel we can find it a home, but it may have to come and go at high tide! 4) How tall is your boat? How high is the top of your sailboat’s mast (measured from the water to the highest point), or how high is the top of the tower (or your radar rack) on your sport fishing boat? While most of our waterfront neighborhoods have no fixed bridges between your dock and the Atlantic Ocean, there are bridges that open. Your boat’s height and the bridge clearance will determine if you can cruise through or if you need to have the bridge open. 5) Are you a serious fisherman? For those who want to jump aboard and go fishing right away, proximity to the inlet is important. 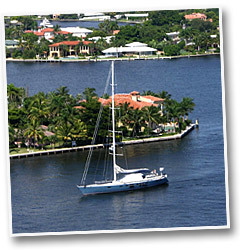 The waterfront neighborhoods of Southeast Fort Lauderdale are all close to the Port Everglades inlet to the Atlantic Ocean. 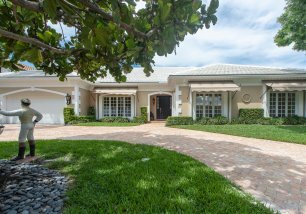 Some neighborhoods (South Las Olas Isles, Rio Vista and Harbor Beach) are only 5 minutes ride to the ocean while others may be 15–20 minutes away. You have questions, we have the answers! Our waterfront experts are here to help.